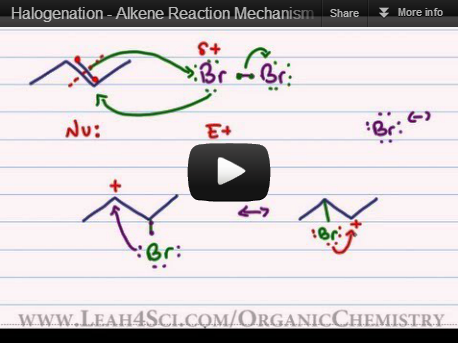 Alkene reactions are the core foundation to learning reaction mechanisms in organic chemistry. These are likely the first set of reaction mechanisms covered in your Orgo 1 course. But the concepts and foundations learned in these reactions will carry through to the rest of your organic chemistry 1 and 2 courses. Below is my alkene reaction mechanism tutorial video series taking you through each reaction 1 at a time, focusing on the WHY and HOW for every step in every mechanism starting with an understanding of pi bond reactivity, role of nucleophile/electrophile and even covering hydride shifts and ring expansions. Don’t forget to download the Cheat Sheet + try the Alkenes Quiz after going through the series! Don’t dismiss the intro video as ‘unimportant’ this may very well be the most important video in this series. 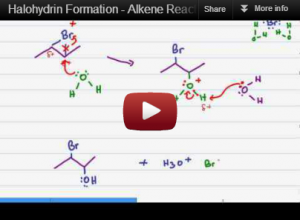 In this video you’ll get a proper view at the pi bond orientation and how this relates to alkene reactivity. You’ll also learn the true meaning of Nucleophile and Electrophile, including how to recognize them and why they react as they do. 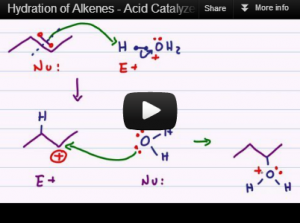 And finally, this video takes you through a sample alkene reaction mechanism focusing on they WHY and HOW to ensure you understand the movement of electrons every step of the way. The hydrohalogenation reaction is one in which the pi bond breaks adding a halogen to the more substituted carbon in keeping with Markovnikov’s rule. 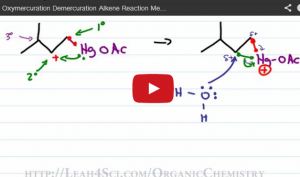 This video takes you through the reaction and step by step mechanism for both a symmetrical starting alkene, and and asymmetrical starting alkene. This mechanism typically involves hydrobromination and hydrochlorination in an inert solvent. Carbocation rearrangements may be observed. The alkene halogenation reaction is one in which the alkene pi bond breaks adding TWO halogen atoms to neighboring carbons. This occurs via a cyclic bromonium or chloronium intermediate. 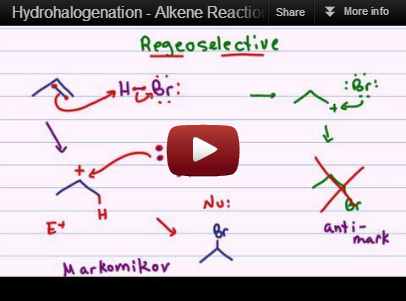 This video helps you understand the step by step reaction mechanism, from the halogen reactivity, bridge formation, and overall anti addition. Do not confuse this with the alkene hydrohalogenation which only ads a single halogen along with a hydrogen atom. 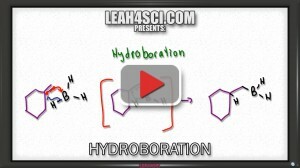 This video demonstrates the mechanism for a symmetrical and asymmetrical starting molecule. The halohydrin formation is an alkene reaction in which a halogen and an alcohol add to the broken pi bond. This reaction starts out just like the halogenation reaction, but since it takes place in a reactive solvent, you get a solvent molecule partaking in the reaction mechanism. When students merely memorize, any change to a reaction may lead to panic. 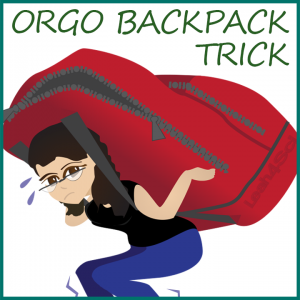 The backpack trick will help you figure out how to swap out atoms and groups to apply what you know to a new version of the reaction, specifically for oxygen containing reactions from acid catalyzed hydration and more. Acid catalyzed hydration is the reaction in which an alcohol is added to a pi bond following Markovnikov’s rule. This tutorial video gives you a step by step logical breakdown of every step in the reaction mechanism to ensure you understand WHY each atom attacks as it does. 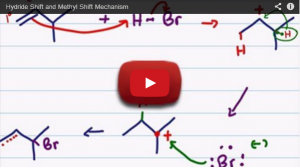 This video helps you understand the logic behind the carbocation rearrangement, along with specific patterns to look for when deciding between a hydride shift or methyl shift. 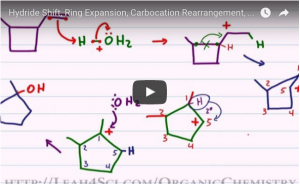 This video takes you through the step by step reaction mechanism for oxymercuration and helps you understand WHY there is no carbocation rearrangement. Alkoxymercuration-Demercuration Reduction is the alcohol version of the oxymercuration reaction. Just like its counterpart above, this reaction is regioselective in following Markovnikov’s rule and will not exhibit a carbocation rearrangement. 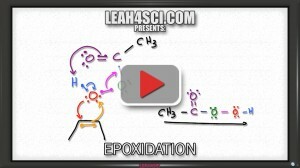 The product of this reaction is an ether as detailed in this tutorial video. Understand peroxy acid (mCPBA and peroxyacetic acid). See a shortcut to quickly find the products, and finally the concerted cyclic mechanism to form the epoxide and carboxylic acid. 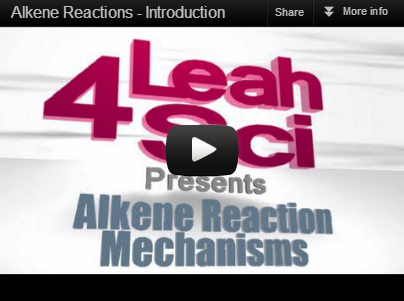 Need a quick review of alkene reactions? 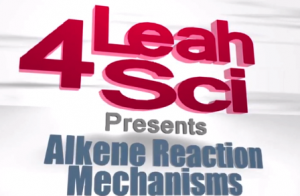 Download my free Alkene reactions study guide cheat sheet!